Find COLDCOCK online from the following retail stores. TO ORDER ONLINE Click on the links below. Note: You will be redirected from our site. Zeiler Spirits and COLDCOCK Whiskey do not handle online sales or take responsibility for merchants who sell/ship within the United States. Note: You will be redirected away from the COLDCOCK Whiskey website. 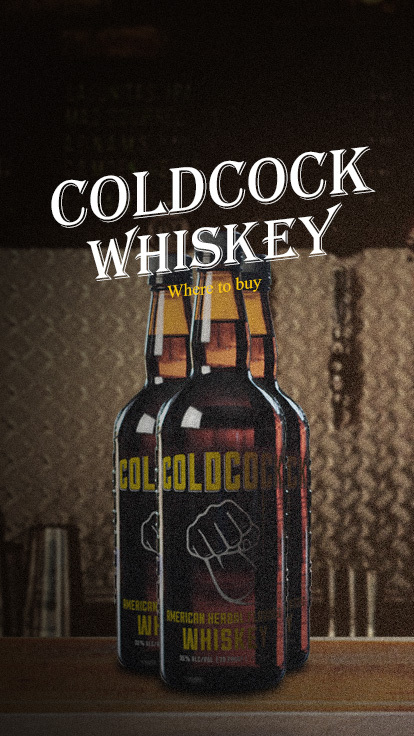 COLDCOCK Herbal Whiskey is available in select states. See distributor information below. Texas: Republic National Distributing Co.
You can also order COLDCOCK online from retailers around the country by doing a search.